Geographical distribution The major ports are located at Calcutta/ Haldia, Chennai, Cochin, Ennore, Jawaharlal Nehru Port at Nhava Sheva, Kandla, Mormugao, Mumbai, New Mangalore, Paradip, Tuticorin and Vishakhapatnam. The Indian shipping Industry plays a crucial role in Indian economy. As 90% of the Nations trade by volume is done via sea. India has been the largest merchant shipping fleet among the developing nations. The Indian Shipping Industry supports transportation of national and international cargoes and also provides various other facilities such as ship building, ship repairing, lighthouse facilities, freight forwarding, etc. Indian Shipping Industry with emergence of globalisation and liberalisation is firmly ready to acquire new dimensions in terms of demand and infrastructural development. In order to sustain itself with the stiff competition posed by foreign companies, the Indian industry is striving hard to bring about rapid transformation. Over the years the way cargo traffic was handled has changed. Initially it was by the protected environment by the tonnage committee who decided as to what type and size of ships the companies should be given a chance. Government subsidy vessels were only assured for the Cargo was assured. Recently after a long period of decline, both tonnage and fleet size have grown, with the addition of ships - tugs, survey vessels, towing vessels as well as pilot vessels belonging to ports and maritime boards. During April 2002 & March 2003 these were added. There are as many as 55 shipping companies in the Industry, out of which 19 deal with coastal trade and 29 are engaged in overseas trade. The rest operate in both types of trade. The Indian Shipping industry is governed by 3 separate Acts such as The Merchant Shipping Act in 1958, The Inland Vessels Act in 1917 & The Coasting Vessels Act in 1838. Most of the vessels are registered under Merchant Shipping Act and are dealt within the sector, smaller barges and coastal vessels are governed by the other two Acts. Historically Shipping industry has catered to only domestic shipping requirements, while the private sector companies like Great Eastern Shipping Company and Essar Shipping are increasingly getting involved in international cross trade. 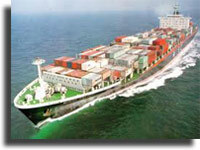 Terms and in value terms, it is much lower to a meager 12% of India's total overseas shipping bill of USD 5.0 billion. It is due to the negligible share of shipowners in the Indian trade of high value goods like general cargo and containers. The focus is on Indian trade and shipowners' share in the country's overseas trade is hardly 30% in volume. Shipping Industry is meaning not only just vessels and tonnage. Shipping capabilities of any country are not solely measured in terms of the quantum of tonnage under control. While in knowledge based economy, soft intangible parameters like human capital, information technology and expertise are becoming increasingly important for increasing innumerable opportunities. Today India has become the source of quality seafarers to global shipowners. Indian shipping firms normally rely on the inherent IT skills of Indians to play a pivotal role in IT activity involved in international shipping and the country can come up with a business center for information processing requirements of the international ship owners. Usage of sea transport for the bulk cargo transport is the natural advantage of a vast coastline of India. Due to the policy of liberalization, the Indian shipping industry, major ports, as road ways have been given to the private sector. 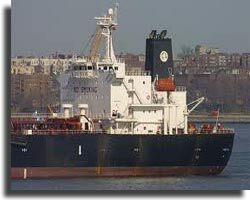 The categories of ships are crude tanker, product tanker, bulk carriers, etc. All these are brought under the Open General License (OGL) to facilitate acquisition at competitive price. For acquisition of such companies the Automatic approval is also available even for the categories which are not covered under OGL i.e. barges, tugs and boats, etc. Shipping companies have been given liberty to retain sale proceeds of their ships abroad and utilize them for fresh acquisition. Approval for Foreign direct investment up to 74% is also provided by the Time Charter of ships by Indian Shipping Companies. 140 shipping companies were in operation in India at the end of March 2003, with the Shipping Corporation of India being the biggest in the country claiming a 42% share of the total Indian tonnage. The country presently has 12 major ports, 184 other ports, nine shipyards and a coastline of 7517 km. Indian shipping Industry has become the 14th largest fleet in the world as per deadweight tonnage. The shipping fleet of India consists of around 515 vessels with a grt of 7.06 million and dwt of 11.5 million ones. It has about 616 ships, with a total capacity of 6.62 million tons Gross Registered Tonnage (GRT). Out of which about 258 ships are engaged in overseas trade and the rest ply inland routes. When compared to World Shipping Tonnage the share of Indian Shipping Tonnage as in term of tonnage (GT) by Flag of Registration stood at 1.19% on 1.1.2006, 1.1.2007 at 1.16% and 1.18% on 1.1.2008 as per data available. The private sector Great Eastern Shipping have mixed fleets. Essar Shipping focuses on the energy trade and mainly operates tankers. Chowgule Shipping with Bulk Cargoes like Iron ore, coal, grain and fertilizers. Varun Shipping Company is mainly into wet, dry bulk, gas and chemical transport sectors. The Shipping Industry offers job opportunities for thousands of people in India. Shipping job is one of the oldest careers offered with charm, income and a unique lifestyle. Usually Shipping Jobs in India are found in major cities with various ports and even non-port cities like New Delhi and Bangalore. The jobs include Merchant Navy Jobs, Cruise ship Jobs, Freight Jobs, bulk carrier companies and oil tanker jobs. And even in many international cruise ship companies which are connected to India there are other job like nursing jobs, cruise ship nurse jobs, cargo ship jobs, marine medical jobs and cruise ship summer jobs in India. There are immense opportunities which are needed to be grabbed by the shipping companies of India. Liquefied natural gas (LNG) has to be imported to harness India's power and fertiliser projects. This plan would involve huge volume of business for shipping industry amounting to several billion dollars. The process would go up to the expense of US$200 million for one ship to carry LNG. Therefore, an important step for the Indian shipping companies would be to build strategic tie-ups with the foreign counterparts. In recent times the importance of Indian Navy in the high seas has never been felt so much because of the ongoing piracy activities off the Somalian Coast. Indian shipping industry contributed 8% of the entire world trade in terms of volume, which was the contribution of nominal 1.3% in monetary terms.India and China were in the same position 30 years ago, but today China has raced ahead in the field. Of the $30 billion freight market in India; only 8% of freight of Indian flagged ships is carried. There is a lot of scope for growth in that area too.